I’m sitting here wondering how to get this article off the ground? Where do I begin? I’m a bit of a storyteller. So I’m wondering, should I start with “Once upon a Time”? …Nah! Not this time around. I’ll leave that for when I write my book. All I ask right now is that you try to stay with me until “The End”. Back in September 2017, Design Monarchy was commissioned to assist with the interior design and project management of Chan Wela, a nail bar and beauty salon. 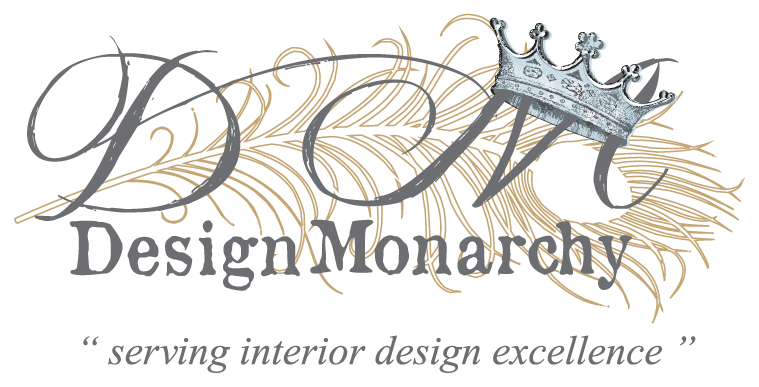 I’ve always maintained that whether you design for residential, hotel, retail, or any other interior space, the processes and the principles are always the same. That being said, the interior design of a nail and beauty salon was a first for us, yet we were very keen and excited to get on with it. Chan Wela Beauty Spa’s manicure bar in Century City, Cape Town. Don’t you just LOVE the gorgeous mint velvet fabric we sourced for the manicure chairs? It was a very hard find! Before I go any further, I think that it would be appropriate to open up the meaning of the Salon’s name. “Chan Wela” is Thai for “me time”. To this day, I still find the name and its meaning very enchanting. There were two major challenges that we faced with this project. First off – the timeframe was extremely tight. The Salon’s PR driven celebrity launch party was to be on the 28th of November. From the time that the deal was agreed upon to the big evening’s launch party, we basically had two months! In that time, we had to tackle challenge number two: converting a typically bland office space, in a typical office block complex, into a compelling top-of-the-range, fully-equipped, upmarket beauty salon. NO pressure! The Pedicure station featured some beautiful plush and comfy wingback chairs upholstered in a stunning soft pink velvet. The construction and building process of a project and converting an interior space is always a time-sensitive issue. The processes are all time-consuming – stress trigger points deluxe! Always! If you are planning an interior upgrade, please, factor in sufficient time. We spent hours doing due diligence in terms of Research and Development (R&D) – establishing and refining the concepts, ideas, colours, textures, and finishes. We do this both online and with feedback from the client. We wanted to create a space that would look like the picture the client had in mind. While, at the same time, presenting a space that was inviting and spoke of relaxed pleasure & spoils – for the patrons. Marica even had a treatment session at a competitor’s salon in Cape Town. The aim was to ascertain and assess what the needs of the clients were and how best to accommodate those within Chan Wela. Plans, plans and more plans! We did plenty of site visits – to measure the site, meet and brief the principal building contractor and all the sub-contractors. Before any work could commence on site, all the floor plans, space and furniture layouts, electrical, lighting, data and plumbing plans had to be drawn up. The various plans were then presented to the client. Only once those were revised and approved by the client, could the builder start the construction phase. Tick-tock, tick-tock… the sound of the ticking clock heading towards the celebrity launch party. Again, No Pressure! So, while all of this happened, the soft furnishing and finishes phase had to be planned as well. Once again – loads of online research. The client’s very definite ideas for the “Look & Feel” of the salon involved an overall open plan space, the tones of which had to be predominantly white with touches a pink blush and fresh mint. She also wanted to include silver, some soft greys, and hints of “bling” – all which made sure complimented the trendy pastel colours. This is generally the foot-slogging phase of a project. We were out there sourcing fabrics, wallpapers, light fittings, ironmongery, floor finishes, stone tops, tiles, therapy beds, cabinet finishes, seating… AND basins. Why the special mention of basins? It had to be a very specific size and shape to not only fit onto the platform in the Pedicure station but to fit the patrons’ feet as well. Well, we must have tried out every single basin available in town! I have dozens of photos of me standing with my foot in some or other basin at various showrooms. I’ll never forget that – it makes me laugh to even think about it now! The other foot-slogging task was to source a velvet fabric in a soft mint green. Similar to the min of Smeg or the Mini Cooper car. It sounds easy, but believe me – we trawled and trawled until eventually – KABOOM!! Got it! What a feeling of accomplishment that was. One of the lovely treatment rooms. Tick-tock… the clock was still ticking extremely loudly. As the day grew nearer the building contractor, Ganief and his team put in long hours. They did a sterling job and without his commitment to the project and the standard of his work, we might well have landed in something akin to a nightmare. One of the strengths of our business is the reliable and trustworthy bank of suppliers we have built up over the many years. These relationships of trust between us come to the aid of the party in times of need. Suppliers bent over backwards to help meet the tight deadline. Needless to say, a few days before the hand-over and big launch, everyone’s nerves were frayed. There were artisans and subbies working under each other’s feet. I know that many a time the client thought that we would not make the deadline date. However, we did. We were still washing and cleaning the premises until the very last minute before the launch. When the first celebs and launch invitees started to arrive we were quietly adding the final touches to the space – beautiful floral arrangements, a launch gift from us to our client. We were quite chuffed to hear the various ooohh‘s and aaahh‘s of the guests as we stealthily slipped out. The Chan Wela reception area. I have to admit that I was unable to enjoy the finished product until about a week or so later when I called in to take some images. The builder had returned to do some snagging one Sunday. Once he had left, I stood alone in the salon – just taking in the beauty that was now Chan Wela Beauty Spa. It felt a bit like having waved a wand over the place. It had evolved from “drab to fab” – even within such an unforgiving deadline. I guess we do magic after all! I love beautiful spaces and places. I’ll say it again differently – I’m so enthralled and passionate about beautiful spaces and places. Despite all the many stressful times and challenges, I love what I do and do what I love. P.S. Want to see some more snaps of this project? Be sure to check it out on our Portfolio page: HERE.